« ASSA AGM Tuesday 17 July – all residents invited! 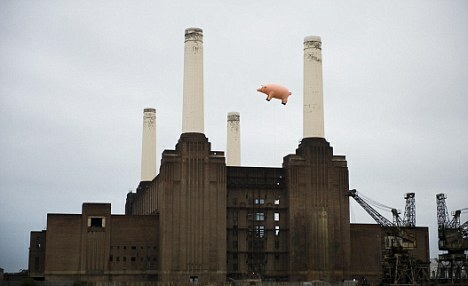 It looks as if Chelsea Football Club has failed in its bid to obtain Battersea Power Station. Let us hope that this Malaysian outfit who wish to buy, have the pockets to build out – and the inclination to get a wiggle on- unlike ALL the previous owners. Poor old Battersea Power Station has suffered terribly in not having the right owners over the decades. All the previous development companies have been doomed to failure and after all these years the Power Station is still a sad and total mess. The fact that such a huge central London site, a Grade 2 listed building and strategically important part of the regeneration jigsaw puzzle can have been left to languish, should be a greater source of embarrassment to those who have any power or influence within London. Successive responsible councillors, M.P’s, Mayors and Ministers of whatever political persuasion should all hang their heads. Now, in 2012, we have reached the stage where SP Setia and Sime Darby have entered into an exclusivity agreement with the intention of buying the 39-acre (15 hectare) site. The potential purchasers now have 28 days to do their due diligence and work out if they should go ahead. The venture is understood to hope that it can work within the existing 8.3m square foot outline planning consent obtained by the site’s previous owner, the struggling Irish developer Treasury Holdings, for a scheme by architect Rafael Viñoly that comprised 3,700 homes along with offices, shops and restaurants. In a joint statement, the Malaysian partners said they were planning a “multi use real estate regeneration project” that would preserve the facade of the historical power plant with its distinctive four white chimney stacks. It is understood that the Malaysian duo would contribute £250 m to the cost of the proposed Norther Line extension. Local planning authority Wandsworth Council said the deal was “potentially very good news”. Council leader Ravi Govindia said: “We’re making tremendous progress towards transforming this old industrial stretch of the South Bank which will provide up to 25,000 new jobs for London.